43 ratings & 31 reviews on Golfshake. Ranked 51 out of 2074. What the club says: The course and surrounding area are classified as a ‘Site of Special Scientific Interest' which includes a number of indigenous trees such as Rowan, Oak and Silver Birch, together with the invading Scots Pine. The course is also home to many birds and animals, including the rare Dartford Warbler, Woodlark, Night Jar, Adder, Deer, Badger and the Sand Lizard. Fantastic course and great food! A very tough track with heather everywhere. Must find the fairways from the tee. Wonderful course, picturesque and challenging. Very special. For such a classy venue the staff made us (non members) very welcome from the moment we arrived until we left without a hint of stuffiness... a welcome change. Superb golf course and an absolute must visit, immaculate condition and clearly well looked after. Played all day as only slighty more expensive than one green fee, this worked out good value for money. The course was in great condition and the layout through all the heather is stunning. You cannot be wild because if you miss the fairway you will be chipping out. Will definitely be returning. i was lucky enough to play here on a charity golf day with 100 other golfers and i was blown away by the place. the course takes up circa 250 acres of heathland but there are another 700 or so surrounding it so you are totally cut off from the rest of the world. i dont think words can do this place justice as there is heather, gorse and might pine trees lining the fairways and each hole is perfectly framed by its surroundings. the greens, while a little on the slow side were true and huge! the only minor issue we had was that there didnt seem to be a first cut of rough, its was pretty much fairway then heather and it was penal trying to get any more than 50 or so yards trying to hit from it. if you get the chance you should play this outstanding course. Surrey has a number of great inland links which are lauded by the golfing media and golfers. Hankley is among the lesser known but it as good as any and better than most. Hanley Common is a 'proper' golf club. Beautiful clubhouse with attentive and not stuffy staff. The food is fantastic. The course is very challenging but not ridiculously hard. The greens are true and relatively quick but not the fastest I have played on. 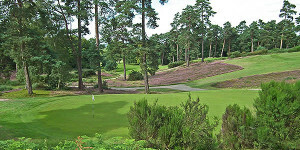 Overall, the course is a cross between Hindhead, Sunningdale and Walton Heath. Spread over a huge piece of land, Hankley is the secret gem of the Surrey heathlands. 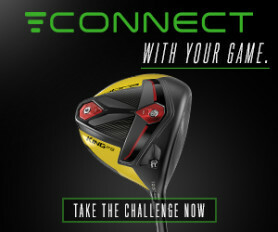 Each hole presents a new and different challenge. The clubhouse facilities are first class and the quality of the catering is comparable to that of the best restaurants. Hankley is just a great course, what a place to play golf. Excellent condition and facilities. Very enjoyable round. Played a few times now and whilst been a lovely course and very well laid out especially when the heather is in bloom, i still feel there are quite a few average holes for it to be considered a great course. love the par 3 7th and a couple of cracking par 4's on the back nine including 18. A good test but still lacks the wow factor for me.